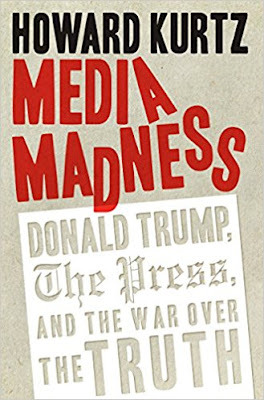 John R. Coyne Jr offers a review of Howard Kurtz’s Media Madness: Donald Trump, The Press, and the War over the Truth for the Washington Times. The political war between conservatives and a largely liberal national media didn’t begin with Donald Trump. But with his election, it’s reached a new intensity. 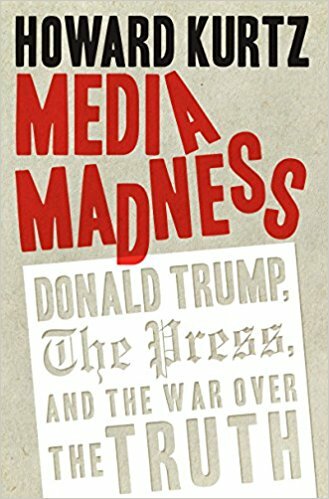 “The country’s top news organizations have targeted Trump with an unprecedented barrage of negative stories, with some no longer making much attempt to hide their contempt,” writes veteran journalist Howard Kurtz in this strongly written and compelling analysis. This charge of “racism,” troubles Mr. Kurtz, thrown out by Mr. Trump’s critics “as an undisputed fact, not a journalist’s assessment, and there was no room for dissent on the score.” And even more troubling to Mr. Kurtz is how this attitude has come to permeate not just the editorial sections of newspapers but the news stories themselves, with reporters functioning as editorialists, rendering the once honored journalistic principle of objectivity no longer operative. Whatever the causes of what Mr. Kurtz calls “Trump Trauma” — perhaps fueled by an unconscious desire to return to Watergate glory by bringing down another president — the liberal media seem intent on destroying the Trump presidency. Note: If you want to read a conservative and fair daily newspaper, I suggest you check out the Washington Times. I’m proud to be a regular contributor to the Washington Times.